So you want to install an NMS? So when I started this blog, one of the things I wanted to do was to start putting out some of the knowledge that I’ve gained in network operations over the years. About 5 years ago, I decided that I really wanted to become a network management expert. Except… there was no CCIE Management. So I had to do it the hard way. One of the original reasons of me starting this blog was to try and make that journey a little easier for the next person who has an interest in network management or someone who just gets told they need to implement an NMS project and has no idea where to get started. I know I’m going to take flack for this one from some of the grumpy old network gods, but one of the first places I would HIGHLY recommend visiting on your journey is the ITIL homepage. The IT Infrastructure Library is essentially a set of “best practices” that have been codified and put on paper. If you’re interested, there’s a intro white paper here. I’ll wait…. 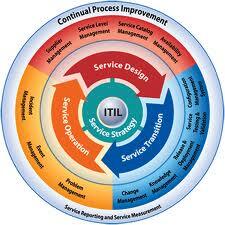 So in a nutshell, ITIL is really just an IT Service Management Framework. There are others, like the Microsoft Operational Framework, not to mention FCAPS, eTOM, and probably a few others that bare mentioning, but have slipped my mind. I’ll admit it, I’m a certification junky, so I went out and got ITIL v3 Foundation certified and what I found out was that ITIL is really just a bunch of common sense best practices that you would learn if you had spent the last 20 years in operations. 1) Service Strategy: What should we do? 2) Service Design: How should we do it? 3) Service Transition: Let’s do it. 4) Service Operations: Are we doing it? 5) Continual Process Improvement: Can we do it better? Yup. 5 volumes. Thousands of pages, and I just reduced it down to 5 lines. Now there’s a lot more to ITIL and there’s a ton of good information in there around specific things like change control processes, or how to define SLA ( service level agreements ) etc… but IMHO, at it’s very root, it’s just some wisdom written down by people who have been there and done that. If you’re lucky enough to have an employer pay for your books, I would suggest picking up the last 3 volumes since that’s where the meat of operations actually happens. If you’re not, I would suggest checking out itunes and search for ITIL, ITSM, and start checking out blogs like the IT Sceptic to get a balanced view of the subject. So step one in the journey to become a network management expert for me was to figure out what actually went in to managing a network. Not just the technical aspects, any CCNA can tell you how to turn on SNMP or to setup SSH on a switch, but I think the first step in this journey is to start to learn about how the business feels about IT Service Management and to start to fill in the other “W”s. Whether that’s ITIL, or MOF, or your own companies ITSM Methodology, having a framework will provide you with a way to see the world. The only additional piece of caution I would give to you is that it’s just a framework. Use it to help you understand until it’s no longer useful. Remember the OSI model? 7 discrete layers that were written in stone? and then MPLS comes along and suddenly you have to troubleshoot things at layer 2.5. For ITIL specifically, there are a lot of people who have made a lot of money by preaching it as if it’s gospel. Just smile at them and remember, they are just guidelines. Adjust where you need to.